OBERT Chembe yesterday put up a spirited performance to win the Zambia Sugar-coated 2015 Mazabuka Cycling Race competition after outsmarting 36 other competitors. The 120km race that was flagged off at the Mazabuka Golf Club saw Chembe of Twin Palm emerge winner in the professional race after timing three hours and eight minutes to earn himself a mattress, puma blanket, bed sheets and a Zambia Sugar hamper. Reuben Moonga finished five minutes behind Chembe followed by Bright Chintu who could only manage a third-place finish in a tournament that attracted 75 participants, who took part in three categories that included executives under category C, amateurs under category B and professionals under category A.
Dutstin Phiri won the executive race which comprised mainly upcoming cyclists and old retired ones. Veteran female cyclist Mwamba Mumba was part of this executive race that covered 30km and had 14 participants. In the amateur event, Brevuon Tembo emerged winner of the 60km race beating 23 other participants with Bruce Nkoma finishing second. 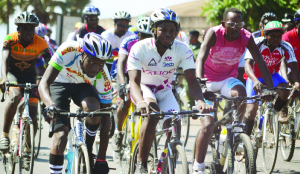 Meanwhile, Cycling Association of Zambia (CAZ) vice-president Evaristo Kabwata appealed to Zambia Sugar to consider making the event an annual to help develop the sport. 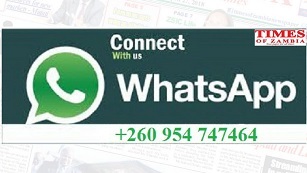 Kabwata expressed hope that the sport could attract more sponsors so that it could grow into a national competition. Sports Minister Vincent Mwale, in a speech read for him by director of sports Bessy Chelemu, commended Zambia Sugar for coming to CAZ’s aid by donating K30,000 and sponsoring the whole event. District Commissioner Jane Chirwa lobbied Zambia Sugar to continue sponsoring the event on behalf of CAZ. Winners of various events won themselves mattresses, puma blankets, sets of pots, rice cookers, irons, bicycle spare parts and Zambia Sugar hampers, all courtesy of Zambia Sugar.